All U.S. citizens and U.S. permanent residents living abroad who are 75 or younger at the time of application are eligible to apply for coverage. The Eligible Member must be scheduled to reside outside of his/her country for at least three months in the first year of coverage and must be involved in missionary or volunteer activities. Highlights and Benefits – please view the up-to-date information of the GeoBlue Navigator expat medical insurance here on our web page at https://www.gninsurance.com/hth-geoblue-navigator-xplorer-overseas-travelers/#navigator. Here are some advantages of the GeoBlue Navigator expatriate medical insurance that we love here at Good Neighbor Insurance. 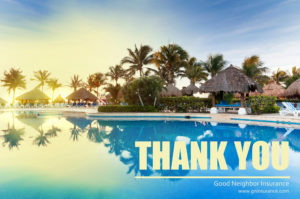 To get all the great information on the GeoBlue Navigator expat medical insurance please head over to our web page at https://www.gninsurance.com/hth-geoblue-navigator-xplorer-overseas-travelers/#navigator. The pre-existing conditions exclusion can be waived with proof of prior creditable coverage. Our providers bill GeoBlue directly, which eliminates paperwork hassles. The strength of Blue. GeoBlue Navigator expatriate medical insurance is offered in cooperation with certain local Blue Cross and Blue Shield companies, which collectively cover 1 in 3 Americans. How the GeoBlue Navigator expatriate medical insurance works – please view the up-to-date information of the GeoBlue Navigator expat medical insurance here on our web page at https://www.gninsurance.com/hth-geoblue-navigator-xplorer-overseas-travelers/#navigator. GeoBlue Navigator offers comprehensive benefits and a range of deductible options that allow members to select the right amount of insurance coverage for their budget and lifestyle. For detailed benefit schedule and rates, please see inserts. To calculate your total out-of-pocket expense, add the deductible and coinsurance maximum. After 364 days of continuous coverage, GeoBlue Navigator expatriate medical insurance members may re-enroll in a plan that matches their existing benefits.